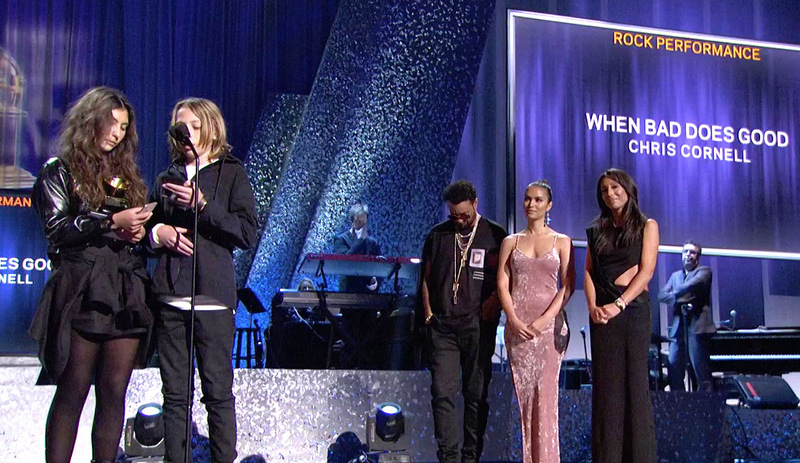 Chris Cornell won the Grammy for best rock performance with “When Bad Does Good”. He was announced as the winner by Jamaican-born reggae artist Shaggy at the Grammys’ televised segment. His children, 14-year old daughter Toni and his 13-year old son Christopher accepted the award on his behalf with an emotional speech about their legendary father, while they acknowledged his contirbution to the world of music acorss genres and generations. Cornell's widow, Vicky Cornell, was also present at the ceremony. The award comes as a great tribute to his memory for fans all around the world.